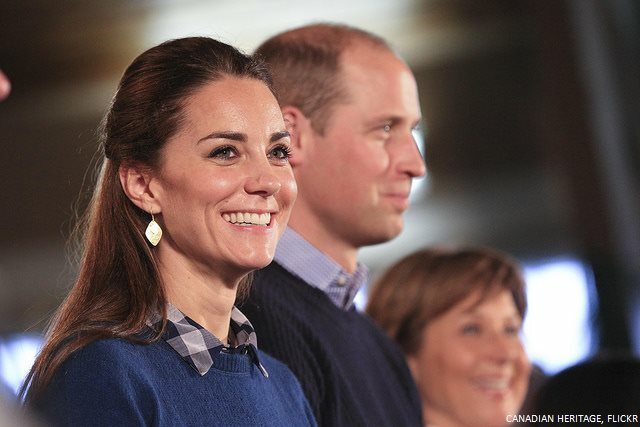 In September 2016, the Duchess of Cambridge (Kate Middleton) visited the island of Bella Bella, in British Columbia, Canada. 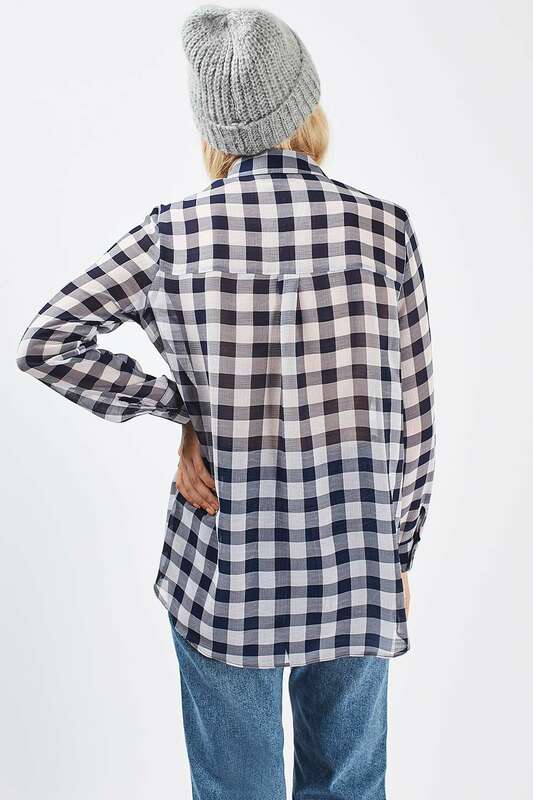 For the visit, she wore the Topshop Gingham Print Shirt under a blue Jigsaw sweater. 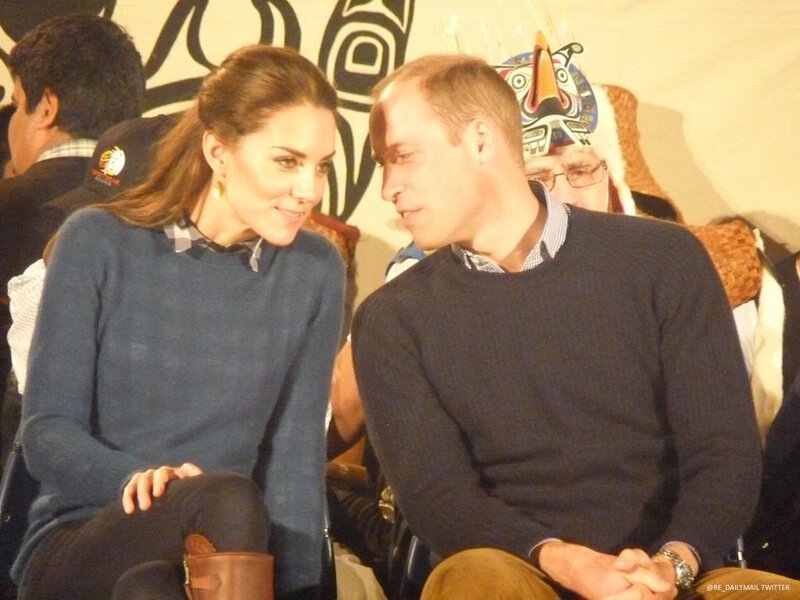 As you can see above, the checks are clearly visible underneath Kate’s semi-sheer sweater. 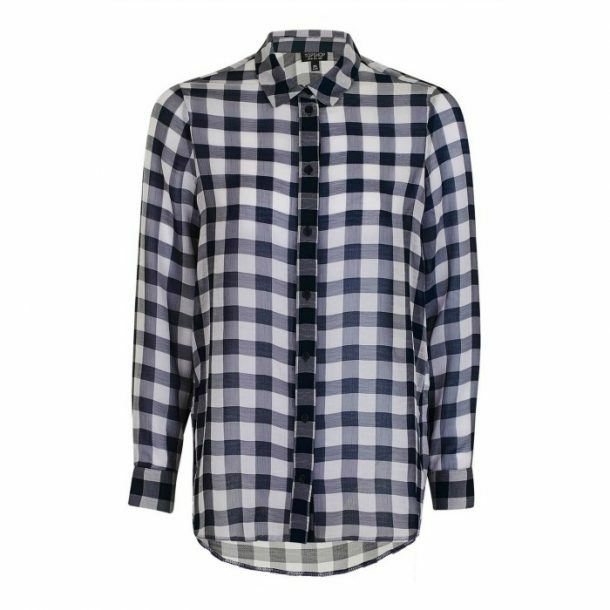 The check print shirt is made from a lightweight chiffon fabric. It features a shirt collar, long cuffed sleeves and several black buttons. It cost £34 GBP / $65 USD. Topshop said the button-up shirt is “perfect on its own” or suggested styling it under a “bold coloured cardigan”. As you can see, it’s pretty long. We’re guessing Kate tucked her shirt into her jeans! 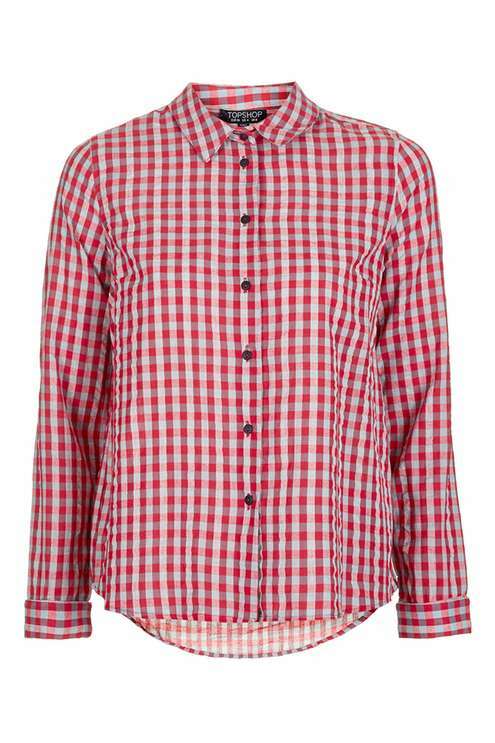 Unsurprisingly, Kate’s Topshop shirt quickly sold out. The company have not confirmed if they’re planning to restock the piece. In the meantime, if you’d like to buy the exact same shirt, your best bet is searching eBay. At the time of writing, there are several shirts listed on the site: click here to view. The Duchess regularly wears clothing from British high street retailer Topshop, usually to the delight of her fans (Topshop is one of the more affordable brands she wears). Above: Kate wearing an embroidered smock dress from the company on day four of the Royal Tour of India and Bhutan earlier in 2016. Above: Kate wearing a polka dot dress from Topshop during a visit to the Warner Brother Studios in 2013. 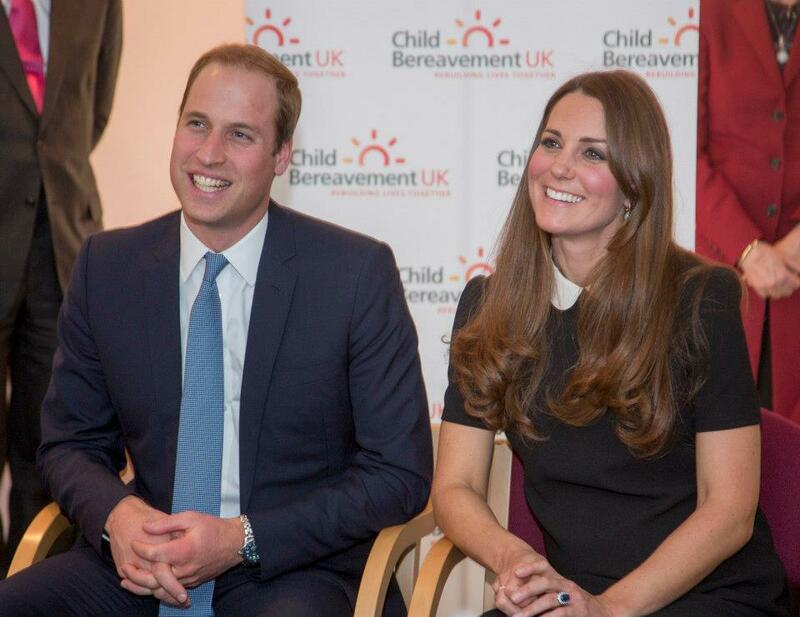 Above: Kate wearing Topshop’s black dress with a white peter pan collar in 2013 during a visit to Child Bereavement UK.